When thinking of the theme of time, I think books are the perfect example. They allow a person to stop the time around them and be transported into another world, another era. My childhood was filled with the stories of Anne of Green Gables. I loved the books, the movies and even the spin off TV series, Road to Avonlea. 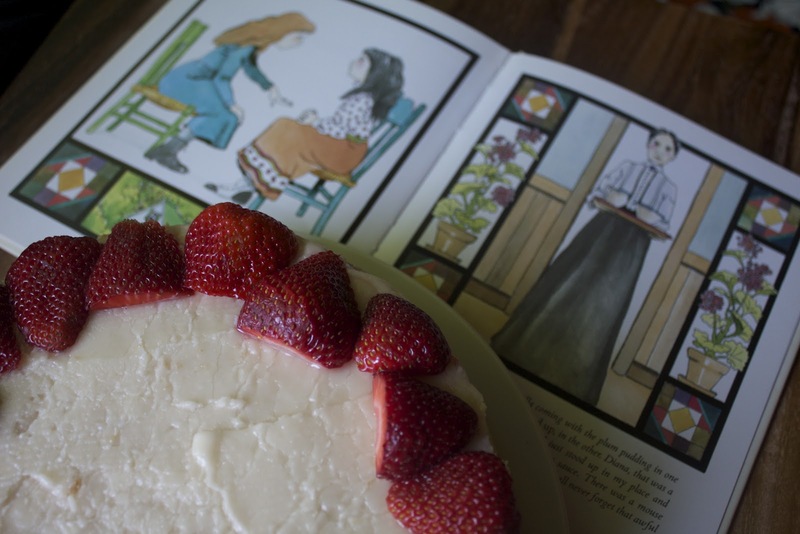 My adoration went so far as to even have the cookbook, The Anne of Green Gables Cookbook. Cookbooks based on stories have been a popular trend for awhile. Recent books for True Blood and Game of Thrones have popped up. I think it is funny that even a Hunger Games cookbook has appeared, being as half the people never eat in that book. It does make sense that when you have a story you love, creating the food from that time is a chance to transport yourself back to that place. This particular cookbook is fun because so much of the story does in fact revolve around food. The book is laced with sweet drawings and fun quotes. I did not find the savory recipes to be all that interesting, but the desserts make up for it. It is a cookbook for children, and direction are nicely written for a pre-teen to understand. I still think it works well for the young at heart, who grew up with these stories. 5) Add eggs and vanilla to cake batter and beat for another 3 minutes. 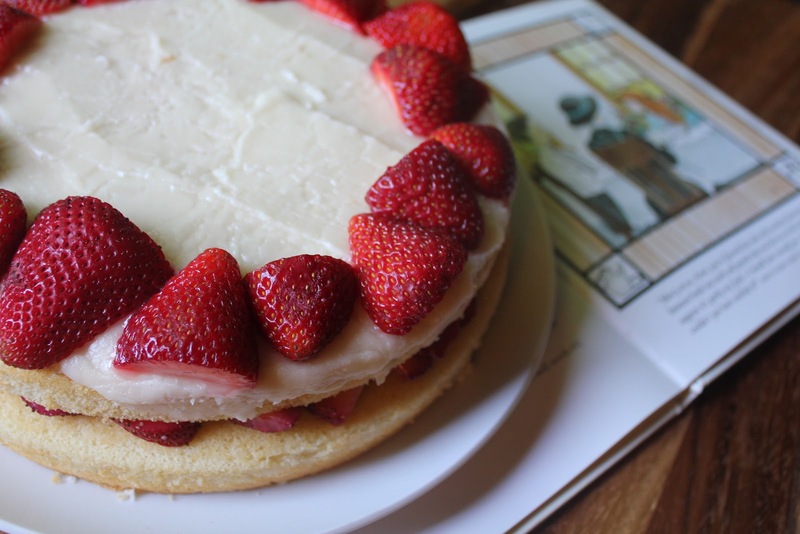 6) Pour cake batter evenly into two cakes pans (9 inch) and bake for 25 to 30 minutes. I added a basic homemade frosting in-between the two cakes and on the top layer. I also thought fresh, local strawberries would be a tasty addition. I think Ann Shirley would be proud.